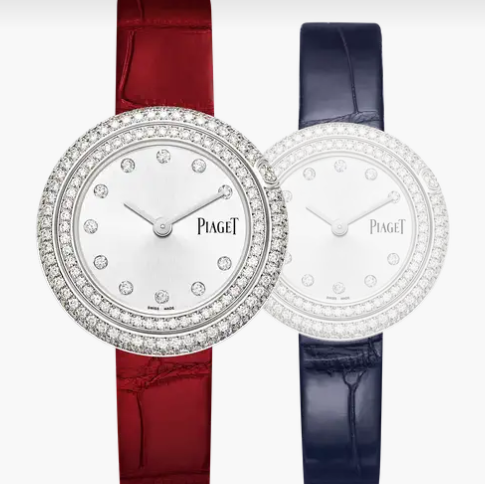 Piaget introduces the ‘Possession Watch’, The new Women’s watch in white gold and diamonds with a diamond-paved dial and a rotating bezel is scintillating. The dark pink alligator-skin strap, can be changed with the second blue alligator strap that is available complimentary with this timepiece. A continually moving symbol of iconic glamour, the Possession women’s diamond watch showcases its vitality and free spirit through its glistening gold and dazzling diamonds. Splendid and graceful, it draws inspiration from the emblematic Possession turning rings. 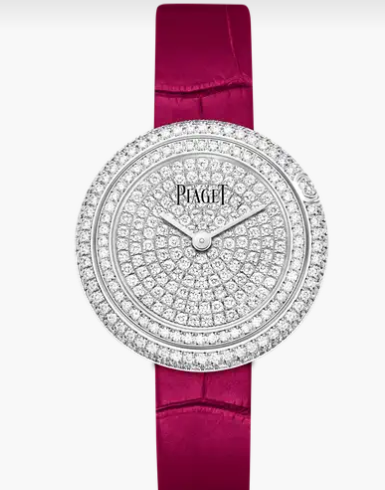 The hand picked diamonds of the rotating bezel turn freely in a mischievous circle around the diamond-paved dial. Enhanced with a dark pink alligator-skin strap, the 29 mm diamond-set white gold case features an easy interchangeable system and comes with a second alligator-skin strap. For undeniable style whatever the mood. 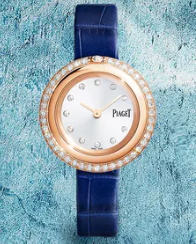 Check out this Piaget Possession Women’s watch in rose gold and diamonds, with a silvered gem-set dial and rotating bezel along with an interchangeable lapis blue alligator-skin strap. A constantly transforming icon presents a dazzling declaration of style and luxury. This masterpiece takes inspiration from Possession’s emblematic turning rings to form a playful combination of rose gold and diamonds. A halo of diamonds on the rotating bezel adds magic to the dial. 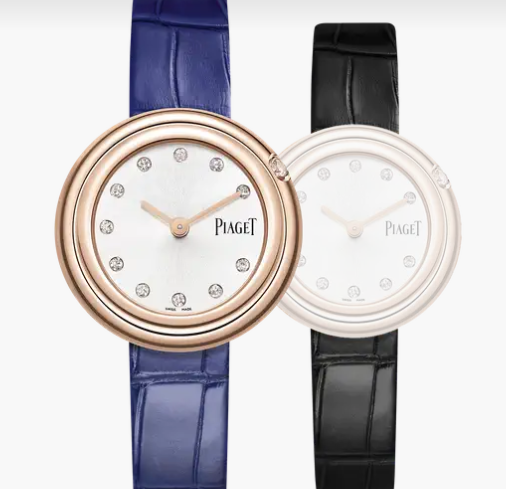 Piaget Possession Women’s watch in rose gold and diamonds. 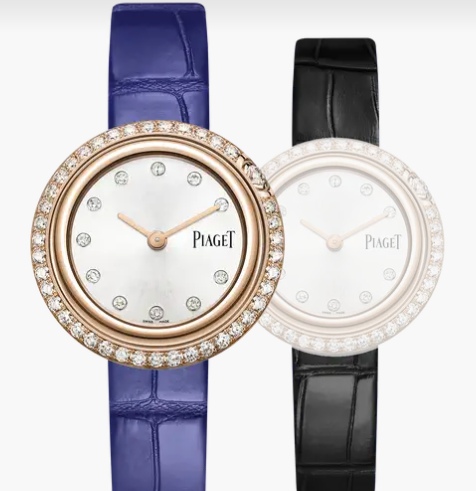 Silvered gem-set dial, Rotating bezel and Interchangeable lapis blue alligator-skin strap. A constantly transforming fashion icon, this luxury women’s watch takes inspiration from Possession’s emblematic turning rings to form a playful combination of rose gold and diamonds. A half-moon-set diamond adorns the rotating bezel as it turns mischievously around the silvered dial with gem-set hour markers. The lapis blue alligator-skin strap with a rose gold plated stainless steel ardillon buckle brings out the sensually curved 29 mm rose gold case and features an easy interchangeable system and a second strap so that the wearer can change its style to suit her mood.